Sweet summertime is approaching and soon the world will be filled with the sounds of lawn mowers, splashing pool water and electric teeth polishers. The last one is assuming patients are reminded that it’s the perfect time to stop in for a cleaning while the kids are out of school. Students’ schedules are much more open so there is no need to work around the school day or miss any classes. Additionally, college kids are home for a few months so it’s a convenient time for them. 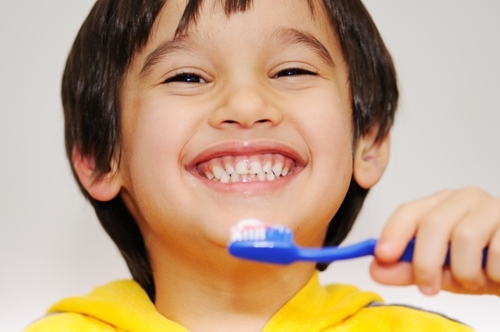 Parents may even opt to take an afternoon off for family fun at the dentist. Here are a few ways to reach out to patients and fill up the booking system or Health Mate Manager Date Custom Calendar. Once cleanings are scheduled, show appreciation for patrons with promotional products and gifts. The best place to start is with a reminder for current and past patients who are due for a cleaning. Check out the Dental Appointment Reminder Postcard and the Dental Appointment Reminder Business Postcard to see what fits the company’s style and send them out en masse. This may have to be done multiple times throughout the summer as more patients have to schedule their next appointment. If mailing reminders proves to be an effective way to bring patients in, order a year supply and fill them out monthly to keep patients coming. Alternatively, offer new patients a Welcome to Our Practice Custom Postcard with a Happy Tooth Promo Magnet so they know how important their business is. Once they are established as a patient, get them on the list to receive reminder postcards for subsequent appointments. To mix things up, consider creating a contest or raffle for patients to participate in when they have appointments during June, July and August. One option is to put out a jar of peanuts or other healthy snack of choice and ask people to guess how many are in there. Whoever guesses most accurately may choose a Summer Giveaway item. Another way to offer a prize is with a raffle. Rolls of raffle tickets are available at most party stores. Have each patient fill out one side and deposit the other in a basket. At the end of each month, draw a winner and send them a gift. Instead of giving patients the typical teeth cleaning supplies to take home in a plastic bag, use Personalized Stadium Cups. A toothbrush, tube of toothpaste and container of floss will look great arranged in a branded cup that should make patients think fondly of the dentist with every use. A selection of 10 colors means there’s something for everyone when it comes to this product. Substituting a spacious cup for a plastic bag may provide more opportunities for giveaways. For example, add a SPF 23 Personalized Lip Balm or an Easy-Twist Custom Lip Balm, available in SPF 15 or 23. This is an ideal gift for the summer because lips can get sunburn very easily. Patients who come in for procedures other than cleanings may want to choose from a different gift selection. A Doctor Promotional Stress Reliever, available in male or female form, would be perfect for people who are there to have a root canal, cavity drilled or tooth pulled. Let them squeeze the figure during the process then take it home to use during other stressful situations. Other appropriate promotional products for a dental office include Mini Mints Pocket Tins and a Bright Smiles Wall Calendar.